DIY Pest Control- Is it really your best option? > Blog > Pest Information > DIY Pest Control- Is it really your best option? Pests are very common problems for homeowners, no matter where you live. While some pests pose no serious threat besides being a nuisance, some can put you and your family at a serious risk for health concerns. There are a large variety of DIY solutions for common pest problems, however, they are not always your best bet. DIY pest control is regularly thought of as the cheaper option for control. Homeowners are always looking for ways to save money so, while these options can be cheaper in the short term, the long term is a different story. DIY options are not as effective as professional grade treatments so you will likely be calling a pest control company anyways. Cheaper treatments can also make you vulnerable to pest infestations which are even more expensive and hard to get rid of than dealing with a smaller quantity of pests from the get go. When you tackle a pest problem with the DIY route, it may seem like a small issue. It’s important to remember that if you see one pest there is a good chance there are many others present that you cannot see. Professional pest management companies have different tools we use to determine the severity of the problem and treat it in its entirety the first time. If you go the DIY route, you may only be treating the surface of the problem and have no way of knowing how much more severe it truly is. A small pest problem can turn into an infestation quickly and cost a lot more to clear up. Using chemicals is part of DIY pest control and not one that should be taken lightly. If you are inexperienced in handling chemicals you can expose yourself, your loved ones or your pets to them in an unsafe manner. Chemicals need to be properly executed and handled to be effective. Also, it’s possible to use the wrong product and have your pest control method completely backfire. As an example, if you are trying to rid your yard of wasps and use the wrong product you can end up attracting them. Obtaining the help of a professional is always a good idea. 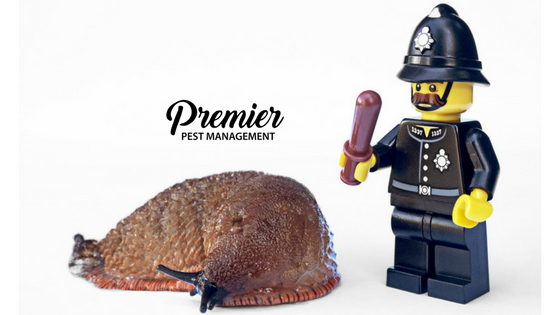 Premier Pest Management has a large variety of customized options available to homeowners to stay protected during all seasons of the year. Contact us today for your pest control solution.